South Adelaide's Under-18s remain undefeated in 2017 after claiming a 15.7 (97) to 6.2 (38) victory over Sturt at Hickinbotham Oval on Sunday morning. The Under-18s had the rare opportunity on Sunday to play the day and location as out two senior teams in a triple-header at Hickinbotham Oval. It was an early start for all involved, with support staff getting to the oval at 7am and players reporting in at 7:30am. The players do get a thrill out of mixing with their senior mentors and having a chance to impress senior players and coaches watching them play live. It was another very solid win for our guys, with the most pleasing aspect being our even four quarter contribution. We managed to break even in the first quarter and then win the three remaining periods on the scoreboard - this is something we have not done in the past month! As a team, the players all committed to being more proactive at winning ball in dispute and being ruthless in our effort and energy to turn the ball over as quick as we could when our opponents won the ball first. This was the biggest driving force behind the win. Our backline held up very well and were able to win their contest and then create effective offensive transitions that resulted in scores. This was possible because our the hard defensive work of our forwards and mids, who were able to force Sturt into rushing their disposals going forward and then work back to help our defenders win the ball and rebound. All in all, it was a solid performance that addressed some areas in our game that we had identified needed improvement. Are next goal is to string this consistent level of performance and structure together more often for us to become a better team. 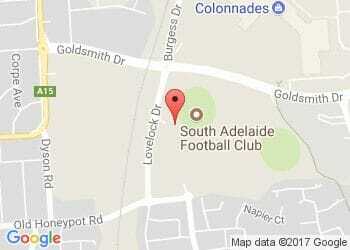 This starts this weekend against Glenelg at Footy Park.